Last week, this Delfonics classic played out over XM's Soul Street station while driving on the 678 and I couldn't help myself: I had to croon along loud and clear. If there's one song that forces a white boy to pretend he's a soul man, this is right near the top. Definitely on my soon-to-be-posted list of "best song intro's,""Didn't I (Blow Your Mind This Time)" was one of many classics written and produced by Philly soul genius Thom Bell. The Delfonics had already hit the top of the charts with "La La Means I Love You" two years earlier, but this song truly set the gold standard for arranging and songwriting. And all of it honored with the Quentin Tarantino Jackie Brown soundtrack seal of approval. Rare do you find a song that actually announces itself, like royalty approaching. Two joyous solo bursts of a French horn (or is it a fluegelhorn? ), pause, and then the chorus melody emoted by the bells and the immortal sitar at the same time. Got to love the 70's soul hits with the sitar! There isn't a bad note in the arrangement, right through the instrumental break of the verse, with its wailing French horn and silky vocals "Didn't I do it baby... didn't I do it baby!" 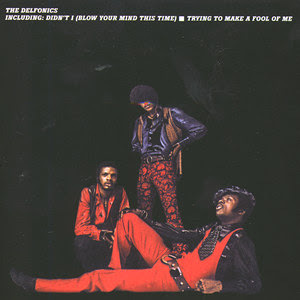 Here are two videos of the song, one straight from the 45, the way it was meant to be heard... the second from 1973, the Delfonics performing live with a distinctly slower beat and stripped down arrangement. Hopefully my ringtone collection will give a new look to the ringtone world. Wish you the best ringtone. Thank you!